Paradisiacal islands near the city of Vigo in the Pontevedra district of Galicia, Spain have been the witnesses to many visitors, stories, and mysteries. Although the area is difficult to live in, people have wanted to settle in this incredibly beautiful place. It is unknown why – maybe because one of the islands has one of the most beautiful beaches in the world, or maybe for strategic advantages. However, the Cíes Islands are some of the most mysterious and fascinating places in Europe. The history of the islands is still full of secrets. But it also has many local stories, crystalline waters, shipwrecks, magnificent and wild nature, beautiful landscapes, an impressive number of seagulls, and beaches. Every year, thousands of people want to visit the Cíes Islands, but the government of Galicia controls the number of visitors. There are a few ships every day which can bring tourists from a few harbors to the Islands. The archipelago of the Cíes Islands is made up of three islands: Isla do Medio, also called the Island of the Lighthouse (do Faro), Monteagudo (the Sharp Mount), and San Martin. The last one is not available to tourists who don't travel in their own boats. Only two islands can be visited by ferry. There are only a few modern buildings on the islands and a tent camp for people who wish to stay the night. Monteagudo is connected with Do Faro by a sort of bridge and natural accumulation of sand known as the Rodas beach, which is also very famous. A natural pool is located in this area where visitors can see beautiful, rare, and exotic fish and other Atlantic animals. 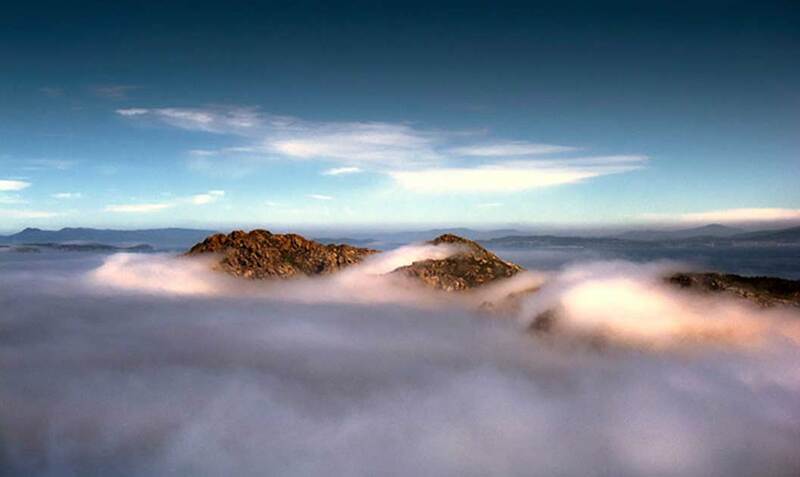 Currently, the islands are a paradise located very close to the city of Vigo, which is the most inhabited city in Galicia. The islands were probably inhabited for the first time around the 10th century BC. It is hard to conclude who the people were who arrived there in 10,000 BC and there are very few pieces of evidence of their settlements. However, future excavations may bring new information. Although it is believed that humans appeared on the islands for the first time during the Mesolithic period, it is also possible that they could have been there even earlier. The first settlement which is well documented comes from the Iron Age. The area between the two lighthouses located on the western slope of Mount Faro still have visible remains of the village dating back to 600 BC, and they were inhabited until at least 100 BC. Excavations have proved that the people lived mostly off of the rich gifts of the sea such as fish. However, they were also hunting, consuming eggs, and had crops. 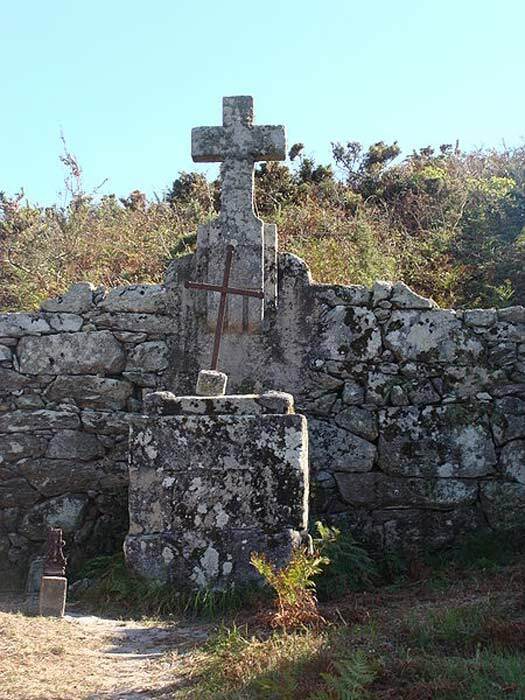 When the Romans arrived in Galicia in the 1st century BC they were informed by the local people that the Cíes Islands were the home of Gods and they had to be careful there. They visited the islands and probably had a camp there as well. They called them the Islands of the Gods, and most likely tried to use the space for their own purposes. Archaeologists have discovered ceramics, a golden ring, and many other artifacts on the islands. Most of them are dated to the 2nd century AD. The 11th century brought the Benedictines to the islands. They built a monastery and there is proof that they were attacked by the Normans. During the 13th century the island was reoccupied and a century later it was taken by the order of the Franciscans. Until now, the buildings of old monasteries are still visible, though mostly ruined. The Cíes Islands are also famous for their caves, which were very attractive for pirates and people like Francis Drake, who used them to hide treasures from looted cities in Galicia. Drake treated the Cíes Islands as a safe harbor for his fleet. It was a place where people could hide secrets and pirates met each other without any witnesses. Until now, many people believe that there are hidden treasures in some of the caves on the island. The islands are also surrounded by many shipwrecks. The oldest ones come from ancient times and the newest ones sunk very recently. For centuries, fishermen have discovered cannonballs, small items, and even canons, in their nets. Not all of the wrecks have been identified and exploration of the area is possible only with special permission. During the first half of the 19th century, people tried to inhabit the Cíes Islands once more. They brought sheep and goats and hoped to find a new home on this piece of land in the waters of the Atlantic Ocean. However, the climate appeared to be too much, and most of the people were not able to stay there for a long time. In 1840, the islands became part of the municipality of the city of Vigo and in the 1850s, the first modern lighthouse appeared on Monte Faro. Now the islands have four lighthouses to guide the ships. In 1980, the Cíes Islands were declared a Natural Park. They belong to the National Maritime-Terrestrial Park of the Atlantic Islands of Galicia with the islands of Salvora, Cortegada, and Ons. Nowadays, the Galician officials are trying to promote the Cíes Islands as a World Heritage site and they hope to receive protection by UNESCO. Every year on October 1st, people leave the Cíes Islands for the winter season. It is a time when the ancient gods can return to the islands welcomed only by the songs of seagulls. Ramon Patino Gomez, Miguel Gonzalez Fernandez, Historia de las Islas Cies, 1989. Northern Spain – Guide, 2009.